I wouldn't think SILA would be a problem as Jane just posts her videos on on YouTube, she doesn't have a fan site that I know of. Speaking of SILA, a video from yesterday 7/29/17 exploring the newly opened path to Star Wars: Galaxy's Edge from Critter Country. Pretty quite there now but just wait until SW: GE opens...good by the peaceful dining at the Hungry Bear. At 5:21 Mike Fink's Keel Boat and beyond that, in the center of the frame, under the trestle and behind it is the entrance to the Fantasmic backstage storage area. A short SILA video of the Star Wars: Galaxy's Edge construction from Saturday 7/29/17. I noticed in the early footage from street level while driving in, it looks like they've started applying the finish exterior material on the eastern side of the BE building. I wonder how fast the instillation will go. Once they wrap the eastern and northern sides of the huge building, there won't be much to be seen from the M&F parking structure. Not looking forward to that happening, but progress is progress and that much closer to the eventual opening of SW: GE. I also enjoyed the the footage of Columbia's masts above the trees sailing westward on the Rivers of America at the end. Yeah, YouTube channels shouldn't count as fan sites, at least in the sense that they aren't competition to MiceChat. I hadn't realized the uploader of the vids I shared also had their own Disney fan site, so I understand why their vids won't be allowed here. Though, one of the mods stated they're still getting to the bottom of these rules, so we'll see. Anyway, that new spot on the trail seems peaceful indeed! Is that staircase going up to the Hungry Bear new? It's been years since I ate there, can't remember if the bottom deck was connected to it. Very nice! But there are some really wide gaps in the construction 'wall' under the bridge. Why or why did Jane not take the opportunity to get some video of what's happening on the other side?! It's kind of a shame that the pathway will eventually be crowded with people bound for (and returning from) the Galaxy's Edge. With the foliage and partial shade, comfy benches, sounds of the river, music and passing trains, it seems like a great place to sit, relax and just soak up the local atmosphere. That's actually pretty clear. Once again, after watching all of the videos, it's nice to get a better perspective on just how much space there is and how far apart the BE, MF and other buildings really are. The videos really make everything look squashed together, but there will definitely be a significant corridor between the BE and MF buildings and the 'expansion pad' is a pretty big space. If they ever decide to, they will have plenty of room to add another attraction there. I know that some people have postulated the idea of that space being used for some part of a Frontier Land or Fantasy land expansion, but I don't think that's feasible. I think that Disney will absolutely have to add another attraction to SWGE, to consume the number of guests that crowd into SWGE to take in the experience for themselves. I guess it shouldn't be a surprise, but it looks like they're definitely already working on construction on items other than the two major ride buildings. Last edited by BiggestDisneyFan; 07-31-2017, 09:17 AM. Just to get an idea of scale, here is the same picture with the entire Haunted Mansion building placed in the expansion pad. It fits and looks small when compared to the other attractions being built in SWGE. When I look at that aerial photo I think, "Wow! Discovery Bay would've been huge!" Haha, this is awesome. I saw the Haunted Mansion in the corner and was pretty sure it would fit. Why stop at three attractions? Bring something to the expansion pad and bring in the Bantha ride that would have gone around the entire land in a Star Wars-esque PeopleMover. 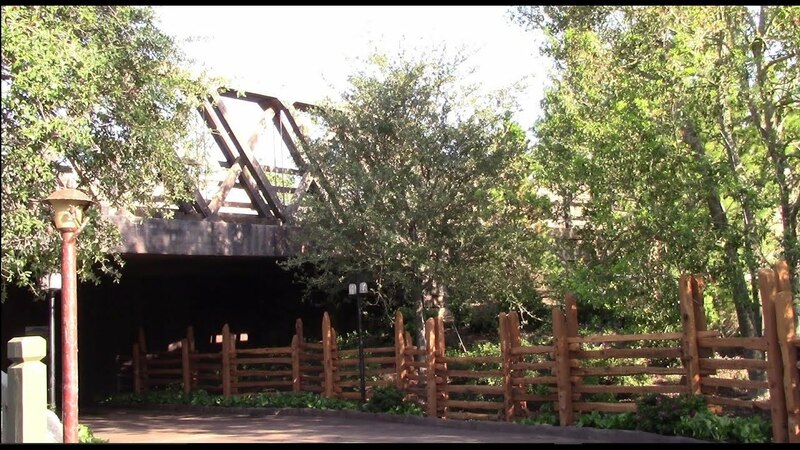 Put the loading area (which luckily has a small footprint) just through the entrance from Critter Country. Now it's a party! With only moderately-sized walkways throughout SWGE, I don't think they could pull off a Bantha ride. Banthas are pretty big and would need significant space to move around amongst a lot of guests. I can't find where I read it, but I heard it was supposed to be a second-story attraction (like the PeopleMover) that would take you on a scenic overlook of the land. That might be harder to work in now that they're moving forward on things, but it wouldn't crowd the ground level. Banthas pulling passengers along an elevated platform? That seems out of place and awkward. Yes it was in a Micechat update about a year ago. Peoplmover-type ride where guests sit on the backs of various alien creatures that traverse pathways above the actual street level of SWL. It was a real thing that got axed because of Shanghai Disneyland being so over budget, and the then-failure of the magic band thing at Disney World. Am I really the most informed around here?! If I recall correctly, that proposal was a holdover from when Star Wars Land was going to find a home in a drastically reimagined Tomorrowland where we lost Autopia, Innoventions, and the Submarines. Maybe so. My memory isn't that great any more. This sounds more familiar and plausible, to me. Maybe a holdover from a prior iteration, but it was definitely also planned for the newly built SWL until about last spring. "It’s a shame it took this long for Anaheim to pry itself away from the clueless corporate hive out in Orlando, as there have been several key decisions made in the last few years that could have benefited Anaheim had the new executive structure already been in place back then. An example is the early 2015 decision to cut the planned third attraction from Star Wars Land because the Orlando suits didn’t want to pay for it. The third ride was to be a unique internal transport system that would have had riders sitting in carriages attached to giant autonomous Bantha-like animatronics who would have grunted and trundled along an elevated roadway taking visitors on a grand circle tour of the entire land. Sort of a cross between Main Street’s horseless carriages and the PeopleMover weaving through Tomorrowland’s buildings. The ride would have offered a unique view of the land and given the streetscapes kinetic energy, as well as offering up additional ride capacity that wouldn’t have had a height requirement." So the Bantha-like ride was canned in early 2015. I thought that it was cut quite a bit earlier than last summer, but had no proof. I guess that clinches it. The "expansion pad" now contains the two rectangular buildings. I believe that most of the area immediately south of that currently under construction will be a restaurant and backstage access. Don't know what they would eventually be able to put into the relatively small expansion space if they do remove those buildings. Last edited by mey; 08-01-2017, 02:23 PM. 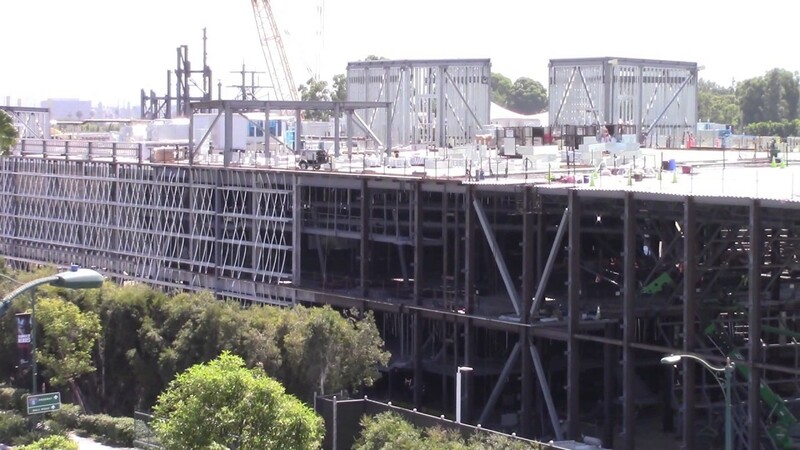 The two buildings currently in the expansion pad are lightweight construction and wouldn't be too difficult to tear down if Disney wanted to re-alocate the space for another attraction. As I showed in the picture I modified, the entire Haunted Mansion building can easily fit into the expansion pad, with room to spare. Like mey said, there is plenty of room for a moderately large attraction there, just not one as big as the atypically large MF or BE attraction.